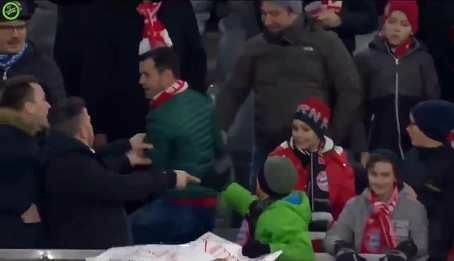 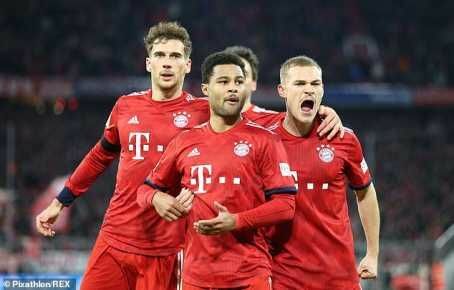 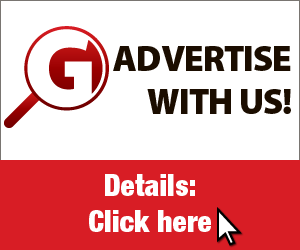 A Bayern Munich fan has shocked everyone the moment he tried to steal a players shirt from a child after the club defeated Schalke 3-1 on Saturday. 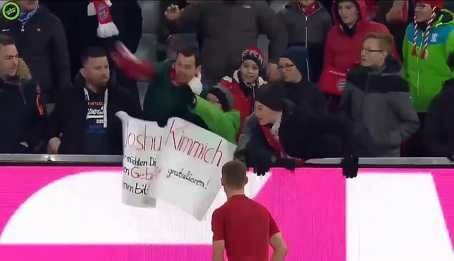 Defender Joshua Kimmich's made his way to the fans section when he spotted a young fan holding a hand written sign asking for his shirt. 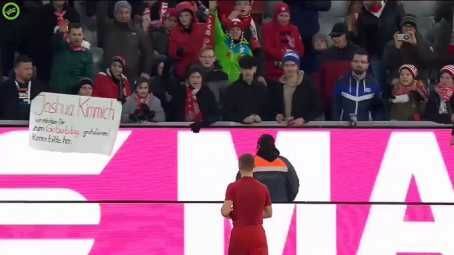 The full-back then removed his shirt and attempt to throw it to the youngster. 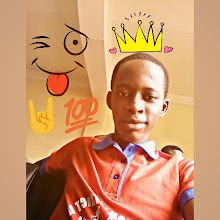 However, a man, who perhaps had not noticed the kid in front of him, leaned over and snatched the top before it reached him. 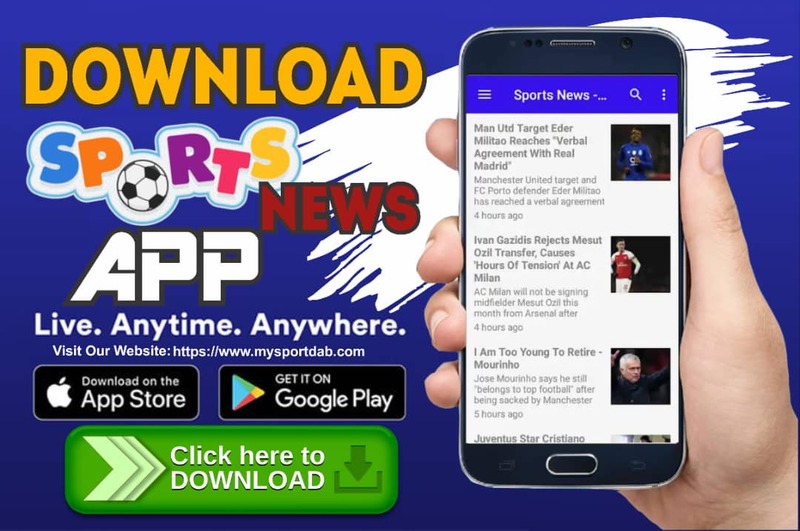 MySportDab report he was quickly made aware of his mistake by those surrounding him before smiling and handing the top back to the child.